Relford “Mitch” Ward, Sr., 76, of Middletown, entered eternal rest on November 12, 2018. He was the widower of Annette B. Ward. Mr. Ward was born in Monticello, FL on December 11, 1941, a son of the late James and Elizabeth Ward. He was honorably discharged from the Navy and prior to retiring, Mitch was employed as a Sergeant for the Middletown Police Department. Mr. Ward was a longtime member of Shiloh Missionary Baptist Church in Middletown where he served as the vice chairman of the Deacons Board; a graduate of the FBI National Academy; former president of the Shiloh CDC Board; a member of Elks Lodge #771; and was an active participant of the Middletown Town Council. 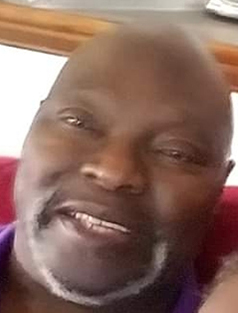 Mitch leaves to cherish loving memories, a son, Relford M. Ward, Jr.; daughter in-law, Mary-Jane Ward; daughter in-law, Debra Stueber-Ward grandchildren, Jade, Derrick Ward and Madeline Tirado; and a host of other relatives and friends. He was preceded in death by a son, Reginald Ward; brothers, Benjamin, Robert and Rudolph Ward; a sister, Lessie Bryant . A celebration of Mr. Ward’s life and legacy will be held Monday, November 19, 2018, at 11:00 a.m. at Shiloh Missionary Baptist Church, 346 Butternut St., Middletown. Viewing and visitation will be held at the church from 9:00-11:00 a.m. Burial will be Friday, November 23, 2018 at 10:00 a.m. in the State Veterans’ Cemetery, Middletown. In lieu of flowers, memorial contributions may be made to the American Heart Association, 5 Brookside Drive, PO Box 5022, Wallingford, CT 06492. Mitch and Annette were the most God-loving, upright, and caring couple. We have wonderful memories of them. Their voices will always be in our minds. We know the Lord has rewarded them with heaven and they are with their beloved son there. Well done, faithful servants.